"The University of Leicester applied to the Ministry of Justice under the 1857 Burials Act for permission to exhume human remains found at the Grey Friars site in Leicester. "The work was conducted by Dr Turi King from the University's Department of Genetics and Dr Jo Appleby and Mathew Morris of our School of Archaeology and Ancient History. "We have exhumed one fully articulated skeleton and one set of disarticulated human remains. The disarticulated set of human remains was found in what is believed to be the Presbytery of the lost Church of the Grey Friars. These remains are female, and thus certainly not Richard III. "The articulated skeleton was found in what is believed to be the Choir of the church. 2. The Choir is the area reported in the historical record as the burial place of King Richard III. John Rous, reports that Richard "at last was buried in the choir of the Friars Minor at Leicester". 4. A barbed iron arrowhead was found between vertebrae of the skeleton's upper back. 5. The skeleton found in the Choir area has spinal abnormalities. We believe the individual would have had severe scoliosis – which is a form of spinal curvature. This would have made his right shoulder appear visibly higher than the left shoulder. This is consistent with contemporary accounts of Richard's appearance. The skeleton does not have kyphosis – a different form of spinal curvature. The skeleton was not a hunchback and did not have a "withered arm". "We are not saying today that we have found King Richard III. What we are saying is that the Search for Richard III has entered a new phase. Our focus is shifting from the archaeological excavation to laboratory analysis. This skeleton certainly has characteristics that warrant extensive further detailed examination. "Clearly we are all very excited by these latest discoveries. We have said finding Richard was a long-shot. However it is a testament to the skill of the archaeological team led by Richard Buckley that such extensive progress has been made. "We have all been witness to a powerful and historic story unfolding before our eyes. It is proper that the University now subjects the findings to rigorous analysis so that the strong circumstantial evidence that has presented itself can be properly understood. "This is potentially a historic moment for the University and City of Leicester." Leicester's City Mayor Peter Soulsby said: "This is truly remarkable news. "Although further tests and investigation are needed, the location and condition of the bones suggest that Leicester University has uncovered a potentially staggering find. "If the experts finally conclude these are indeed the bones of King Richard III, this will have enormous implications for our city. "From Leicester Castle where he is known to have often stayed, to the Magazine Gateway, from where he rode off to the battle of Bosworth – Leicester has many sites of historical interest connected to Richard. "We have recently seen renewed interest in these and other important heritage sites, which we opening up to the public once again as part of a new telling of the story of Leicester. "The discovery of King Richard's final resting place – if this is what we have –will enhance the telling of that story in a way we could never have planned. "I would like to thank the university and all of the staff and experts who have supported them for their tremendous work in finding this important historical site, which is of great value to the city in its own right. "I would also like to thank the Richard III Society and Phillipa Langley for their determination, and perseverance in seeking out the King's burial place. "Whatever happens next it is clear this site is worthy of further excavation, and for that reason I have given the university the go-ahead to continue with their work. "We need to have further discussion about the long-term future of the site, but I will certainly be doing everything in my power to make sure the City of Leicester supports and celebrates this exciting discovery." "This is an historic and perhaps defining moment in the story of Leicester and I am proud that the University of Leicester has played a pivotal role in the telling of that story. "From the outset, the search for Richard III was a thrilling prospect but it has involved many hours of dedicated research by our team that has led to the astonishing finds we have disclosed today. "The search has caught the imagination of not only the people of Leicester and Leicestershire but beyond and has received global media attention. It is a measure of the power of archaeology to excite public interest and provide a narrative about our heritage." 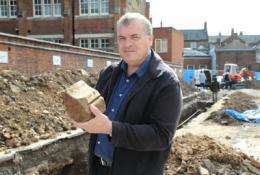 "Whether or not we have found Richard III, this archaeological project has been exciting because of what it has uncovered about Leicester's rich and varied past." 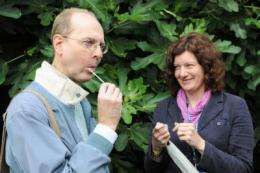 "The news from the excavation is very exciting and I congratulate Philippa Langley of the Richard III Society for her persistence and Richard Buckley and his team of archaeologists for their painstaking work. Leicester Cathedral, along with Leicester City Council, and the University of Leicester, has worked closely with the Richard III Society for many months on the current search. "There has been a major memorial to King Richard at the heart of the cathedral and adjacent to the Herrick Chapel since 1980. This is the only cathedral memorial to Richard in the country and has been the focus for remembrance, particularly on the anniversary of the Battle of Bosworth. The memorial states that Richard was buried in the graveyard of the Church of the Greyfriars in the parish of St Martin (now the cathedral church). "If the identity of the remains is confirmed, Leicester Cathedral will continue to work with the Royal Household, and with the Richard III Society, to ensure that his remains are treated with dignity and respect and are reburied with the appropriate rites and ceremonies of the church." If you want to discover the final chapter of this story, you will need to tune in to the forthcoming documentary being made by Darlow Smithson Productions for Channel 4.